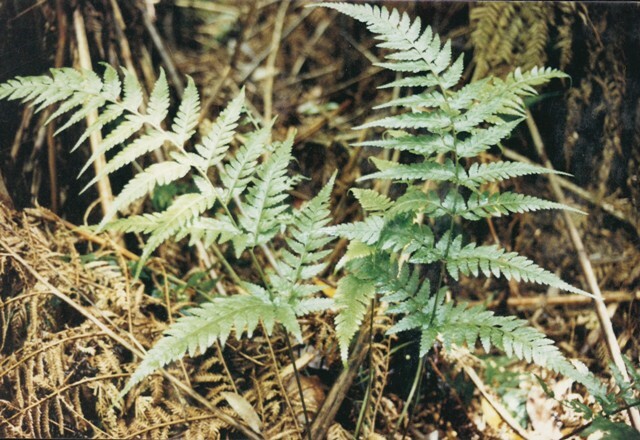 One of the trickiest groups of Ferns to identify locally are a group of Ground ferns in the Genus Hypolepis. 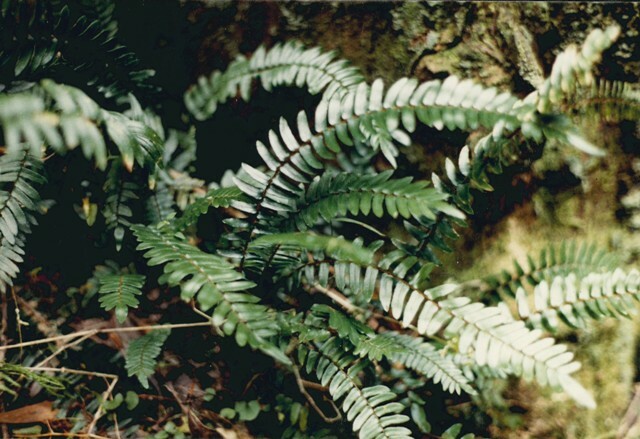 There are three different species recorded in the park but I have only ever found two of them which are Hypolepis glandulifera (Downy Ground-fern) and Hypolepis rugulosa (Ruddy Ground-fern). 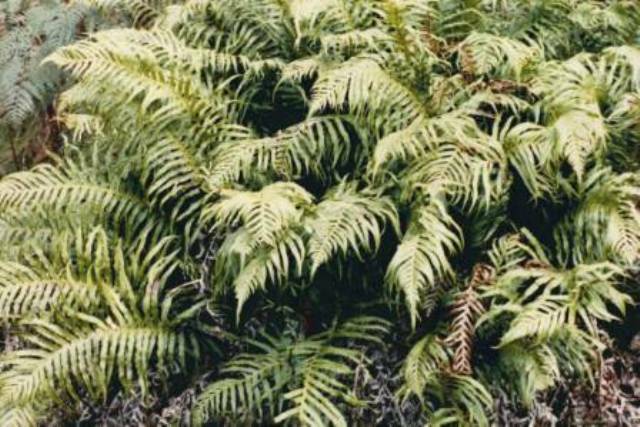 Without looking carefully these ferns can be mistaken for Bracken because they have a similar growth habit with fronds popping up from a spreading underground rhizome. 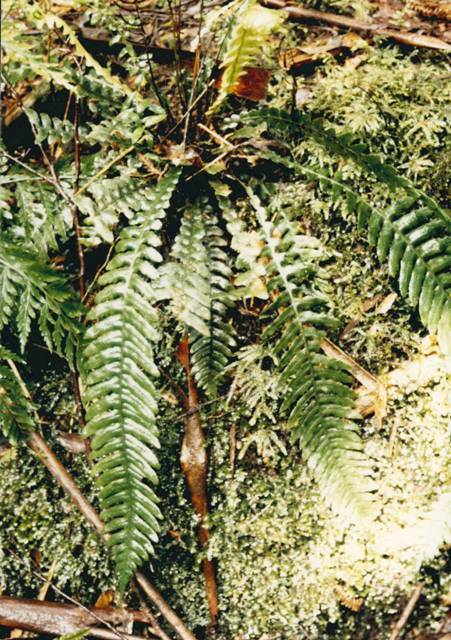 Hypolepis rugulosa (Ruddy Ground-fern) seems to be more common locally at higher altitudes in the Park (e.g. Wet Forest areas around Balook). It seems to like disturbed areas at the sides of roads and tracks. 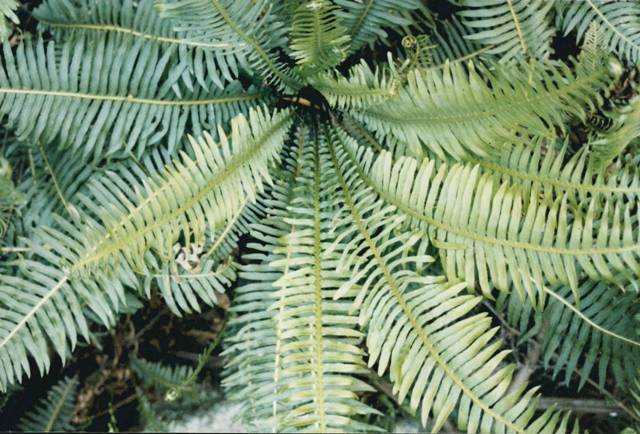 Its main feature for identification in the field is the reddy-brown colour of the frond stems (Stipes). 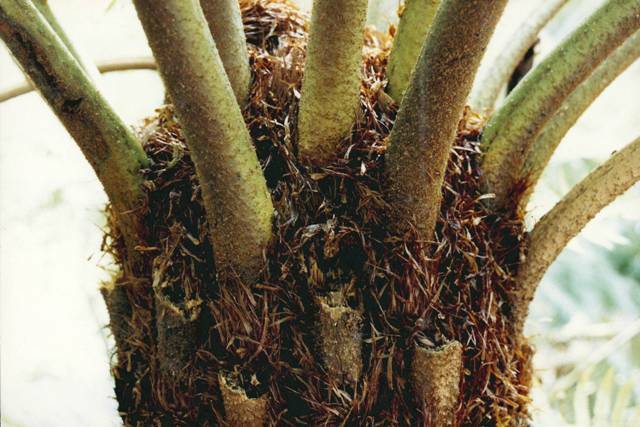 Base of frond (stipe) where it comes out of the ground, Chestnut brown with hairs. Close up of underside of pinnule. Showing little flap with a few hairs next to the sori. Topside of pinnae which are slightly harsh. 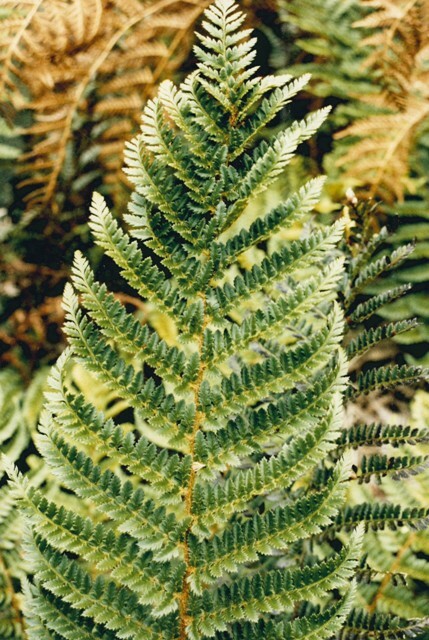 Ready brown frond stem (stipe) with small hairs. 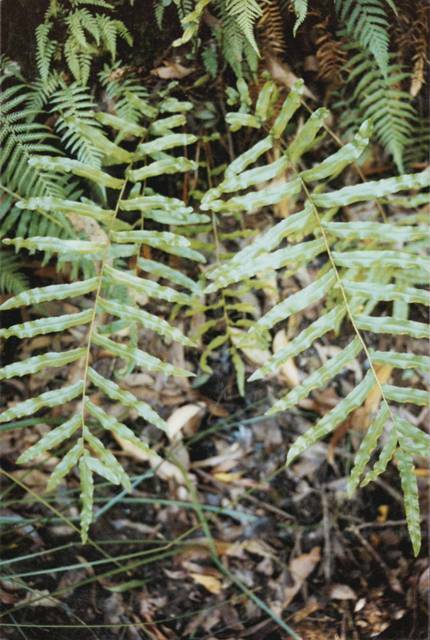 New frond (crozier) not stickly like Downy – Ground-fern. 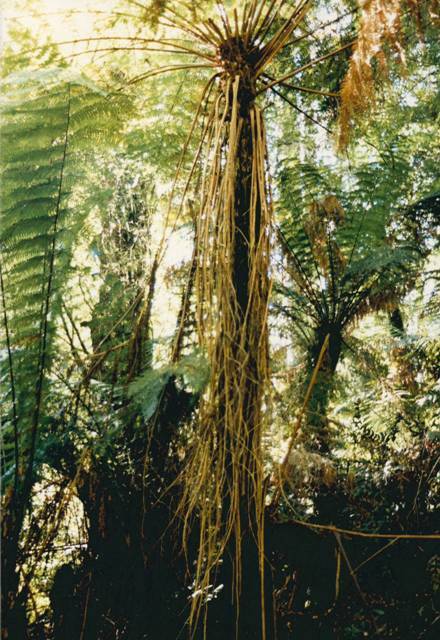 Underside of fertile fronds showing arrangement of sori. 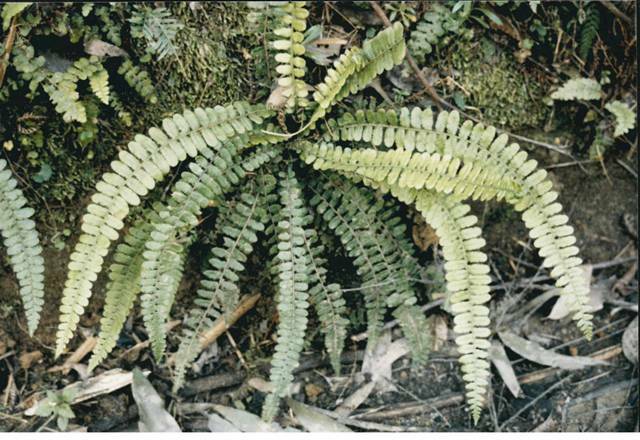 Hypolepis glandulifera (Downy Ground-fern) I have found mostly at lower altitudes, especially along waterways (e.g. Tarra River and Macks Creek). 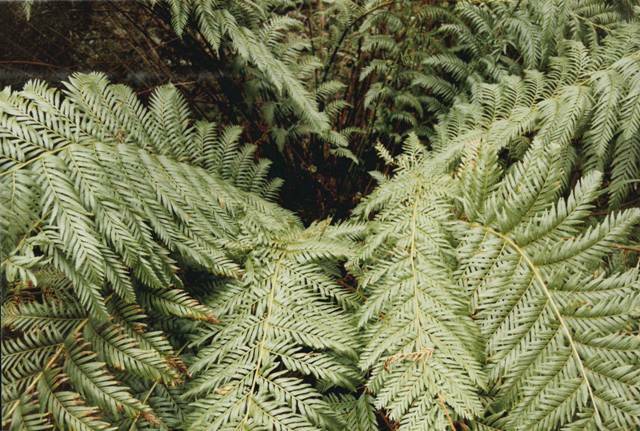 Its frond stems (Stipes) are usually a pale green colour. 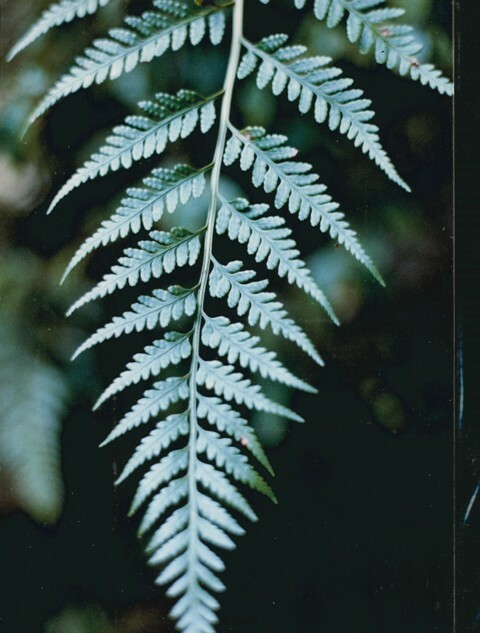 It usually has lots of fine hairs along the stems and the new fronds are often sticky to the touch as a result of the small glands on the tips of many of the hairs. If you have a hand lens or use a digital camera with a macro setting you can see that there is a little triangular tooth close to the sori on the underside of fertile fronds. 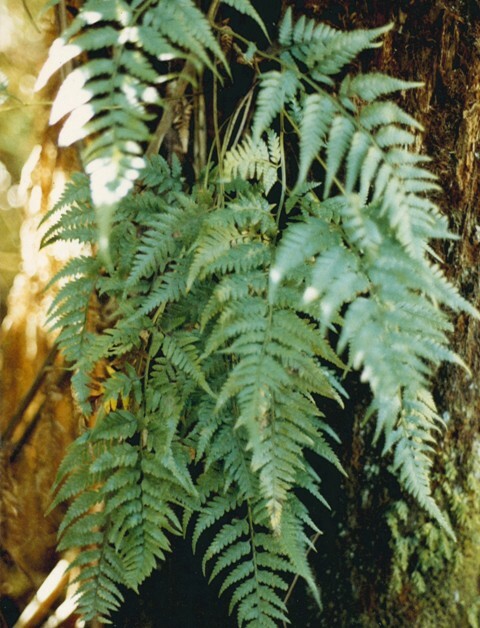 This fern was formerly known as Hypolepis punctata. Pinnules usually have rounded tips. 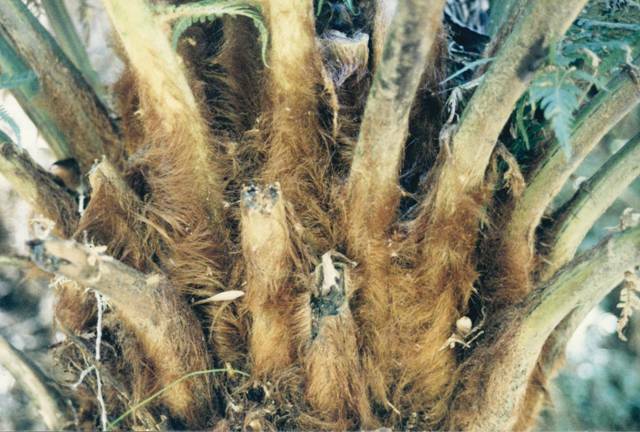 Close up of frond stem (stipe) with soft hairs, some of them with glandular tips. 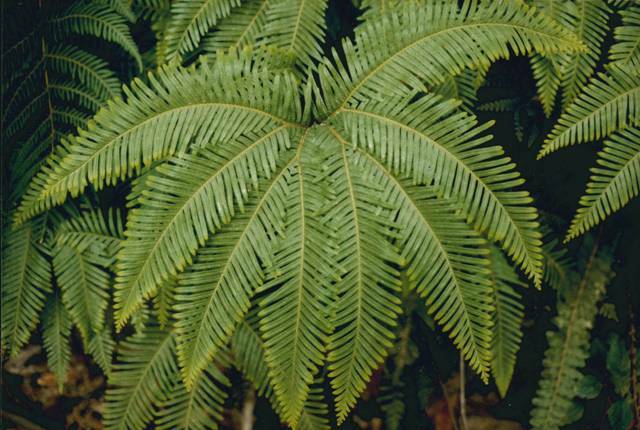 Showing the base of the fronds. Mostly a light green colour. 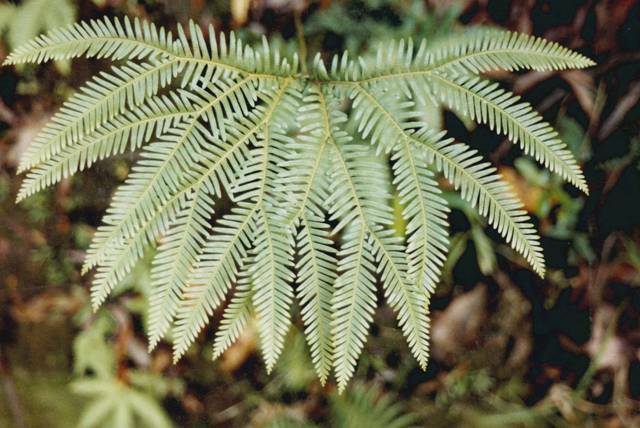 New frond, which is sticky to the touch because of the soft glandular hairs. 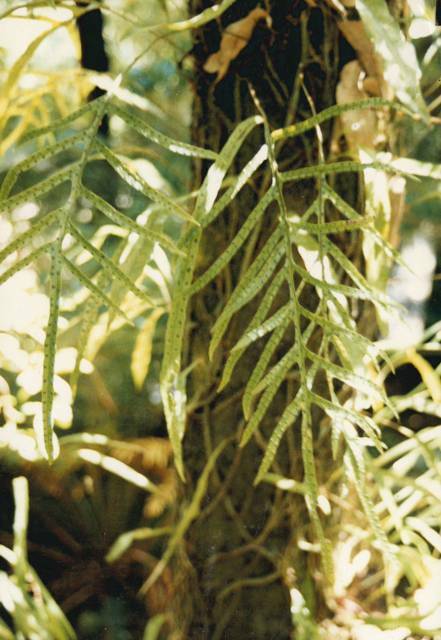 Underside of a fertile frond, packed with sori. 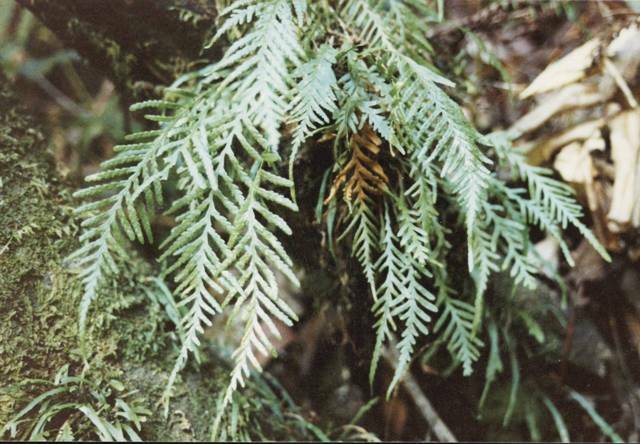 Hypolepis muelleri (Harsh Ground-fern) is also listed in Park’s flora records for the but I have yet to find any. 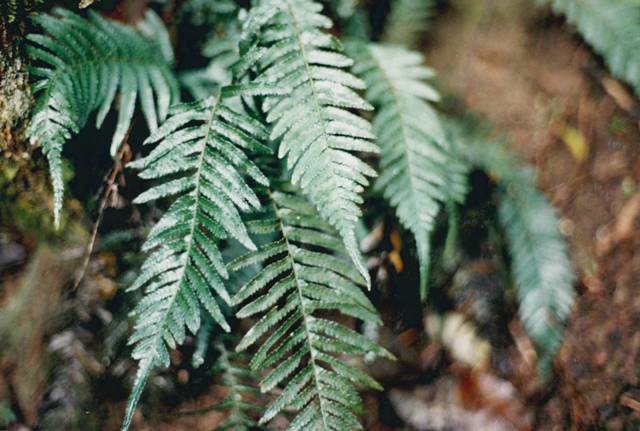 It can be identified by the presence of tiny hairs growing in the Sori on the underside of the fertile fronds. 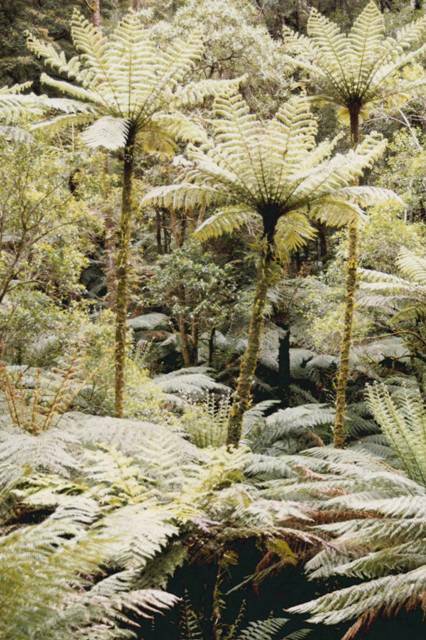 Tarra Bulga National Park has three different species of Olearia which are members of the daisy family. Two of them can be a little tricky to tell apart, however one is clearly different to the others. From casual observation all of them have similar looking flowers and the best way to tell them apart is by examining the leaves. 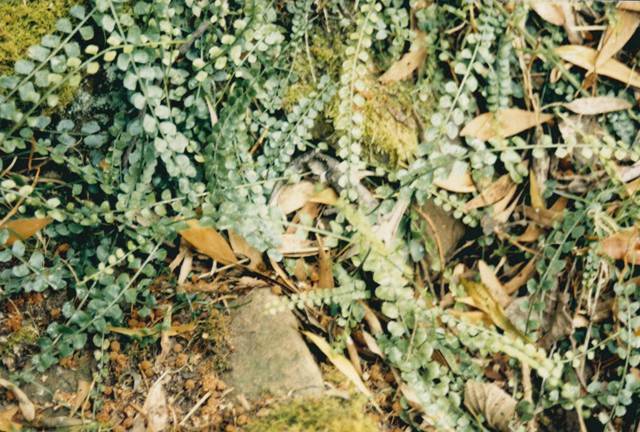 Olearia lirata – (Snowy daisy-bush) is a very common species in the park, although it is not usually present in the rainforest gullies; it is a dominant shrub in the wet sclerophyll forest areas (which is the most common vegetation type in the park). 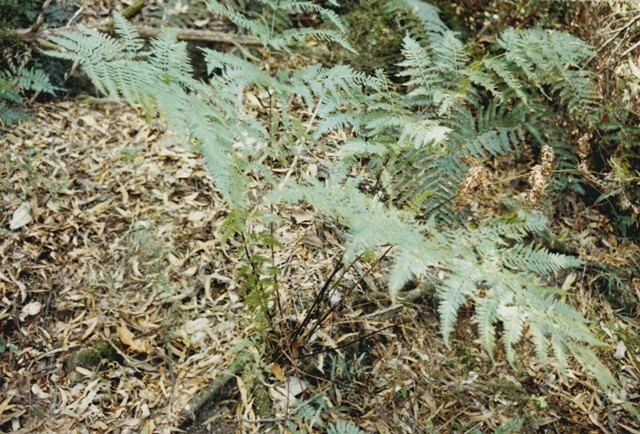 It is a small to medium sized shrub and its medium sized leaves are lance shaped and usually green and shiny above and grey and hairy underneath. 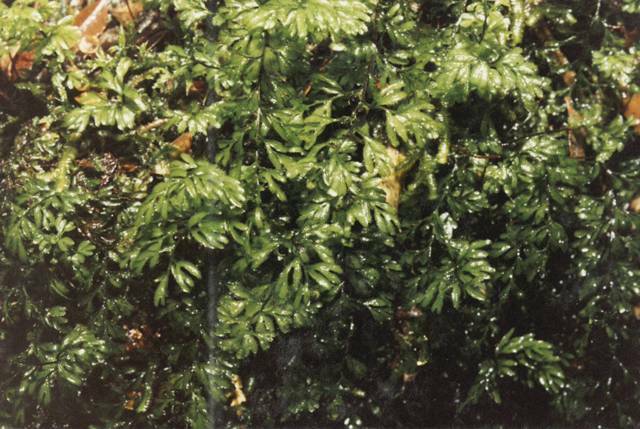 The leaves are relatively shiny and green and do note have regularly space teeth like the Dusty daisy-bush. After flowering the fluffy seed is nearly ready to be released. This plant is growing in ideal conditions and it has massive clumps of flowers, They are usually not crowded together quite so much. A more typical looking flowering display. Olearia phlogopappa – (Dusty daisy-bush) is less common in the park than Olearia lirata and is and mostly found in the more disturbed areas; it is also a small to medium sized shrub. 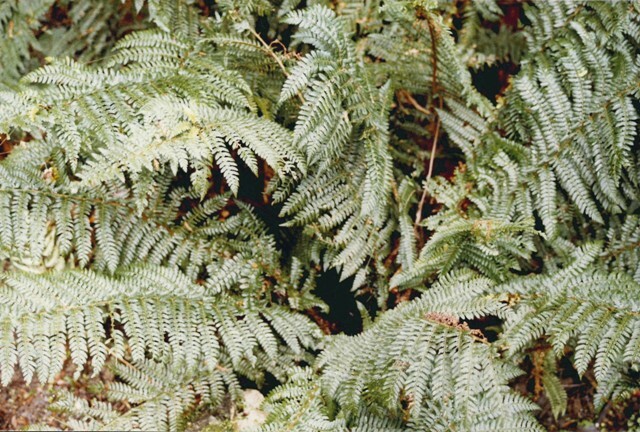 It has narrower leaves, that are more greyish and not shiny (hence dusty) with tiny hairs on the underside. 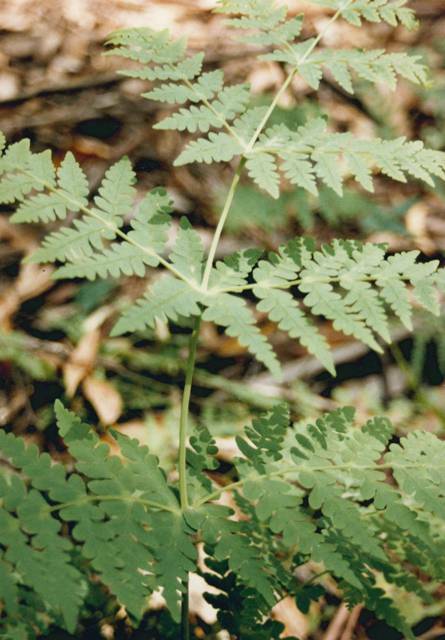 The leaves also usually have blunt teeth along their margins. Leaves note the greyish colour and small teeth on the leaf margins. Olearia argophylla – (Musk daisy-bush)is the third species. 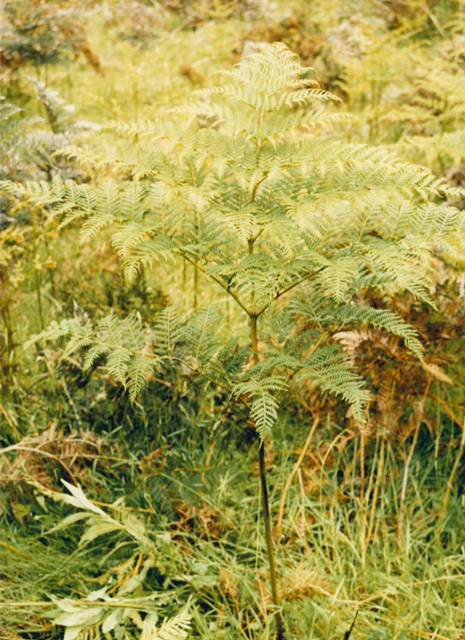 It is a large shrub almost to the size of a small tree. 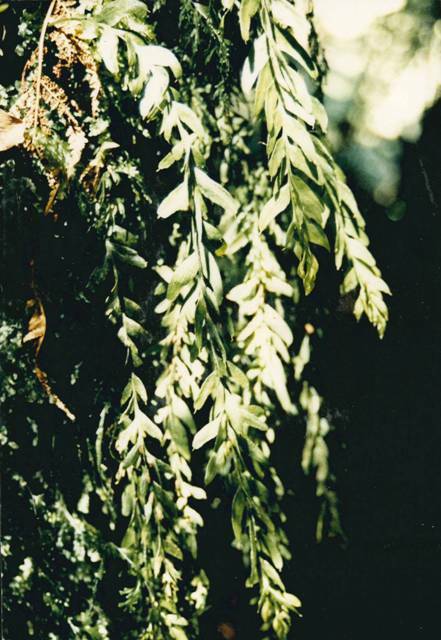 Its leaves are much broader and larger than the other two species, they are green on the top and whitish or silvery underneath. 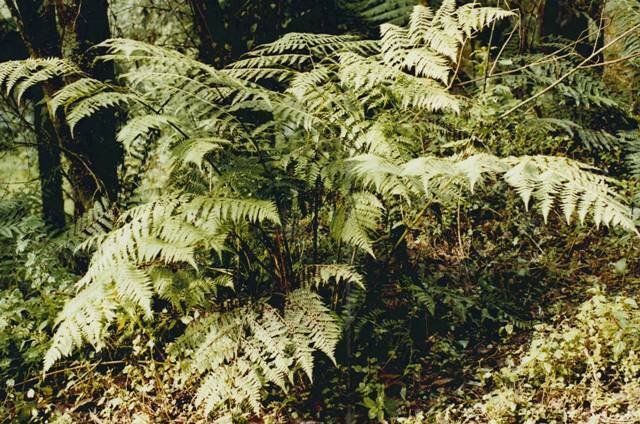 It can occur in all forest types within Tarra Bulga, including the rainforest gullies. 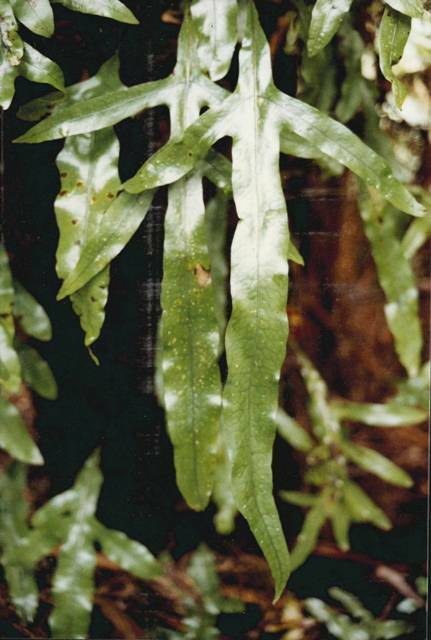 Showing the underside of the leaf which is usually a silvery white colour. Taller than the other Olearia species it can be grow to be a small tree. The large broad shiny leaves make it easy to tell apart from the other Olearia species. This is the time of year when most of the daisy species in Tarra Bulga are in flower. A number of species look quite similar and a bit of knowledge is often needed to tell one from another.They are all medium shrubs with narrow linear leaves and similar looking cauliflower like flower-heads. 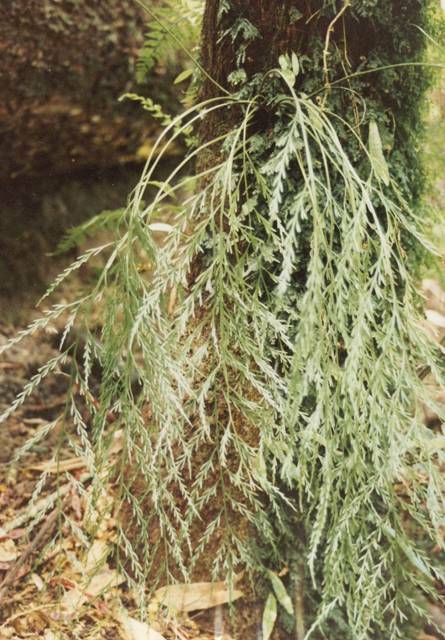 Cassinia aculeata – (Common Cassina or Dogwood) has the the shortest and narrowest leaves of the three. If you look underneath the leaves you can see that they are curled over at the edges. Another distinguishing feature is that the new flowers are sometimes pink rather that white. 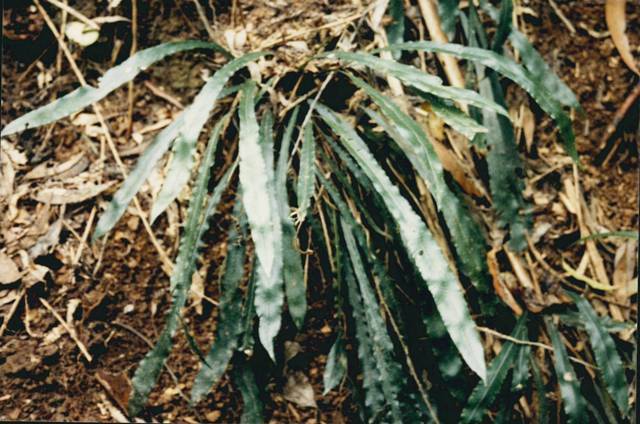 Showing the underside of the narrow leaves that are hair below with recurved margins. Showing white flowerheads this time. 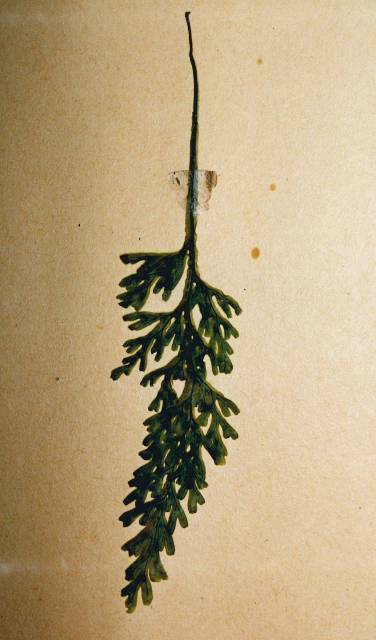 Cassinia longifolia – (Shiny Cassinia) has broader and longer leaves and the new leaves are noticeably shiny and sticky to touch. 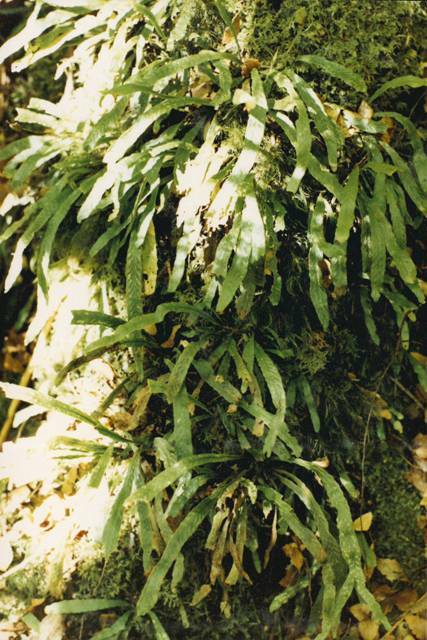 The underside of the leaves are covered in short dense hairs and the vein down the middle is very prominent. 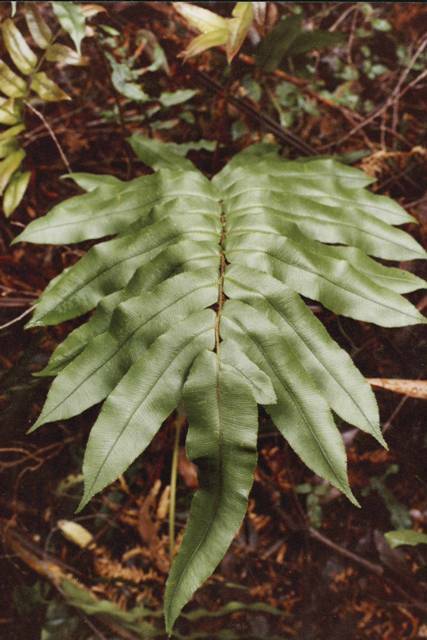 Showing the Shiny upper-side of the leaf which can be sticky and has a prominent mid-vein. 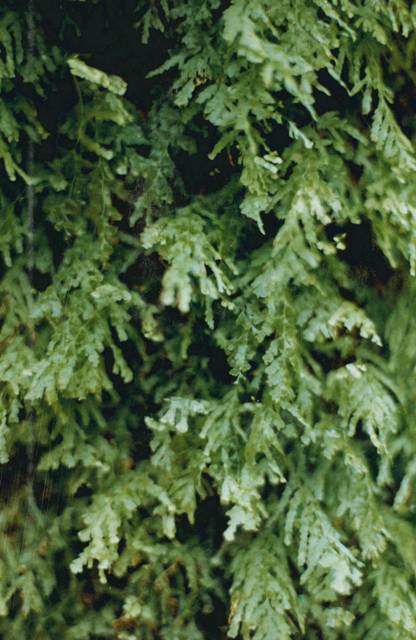 Showing the underside of the leaf with dense hairs and the mid vein. 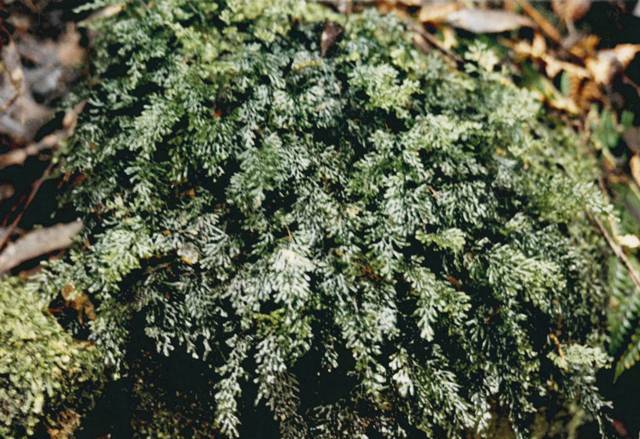 Cassinia trinerva – (Three-veined Cassinia)Has leaves that are also broader and longer than Common Cassina, they are quite soft and not shiny or sticky. 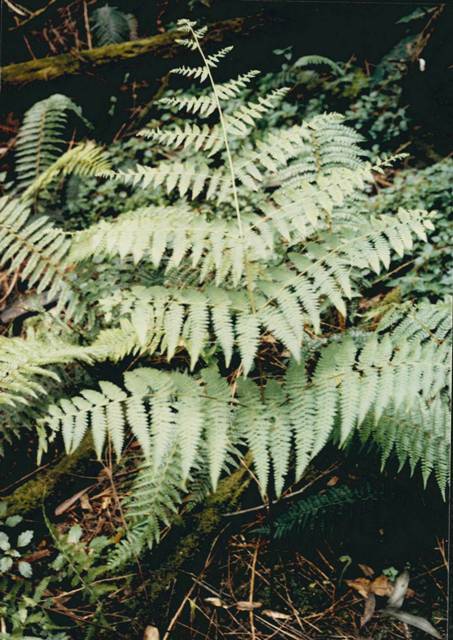 They have a big vein running down the middle of the leaf and two smaller veins that run a millimetre or two inside the leaf margins. Underside of leaves showing the 3 veins that give the species its name. Flowerhead which again looks very similar the the other 2 species in the park. 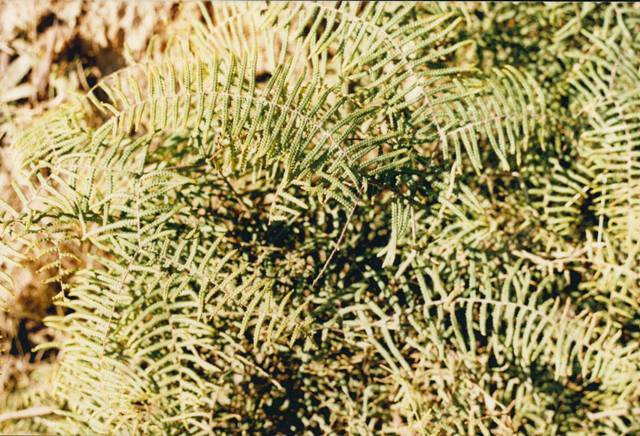 Ozothamnus ferrugineus (Tree Everlasting) is a fourth species that can be confused with the Cassinia’s as it is a similar size and has similar leaves. 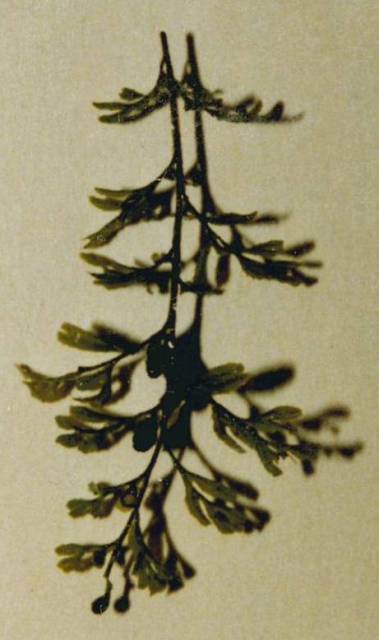 It’s leaves are around the same size as Cassinia longifolia (Shiny Cassinia) but its leaf margins are usually a little wavy. With close examination the flowers are clearly different to Cassinias, they have little bracts around the individual florets. 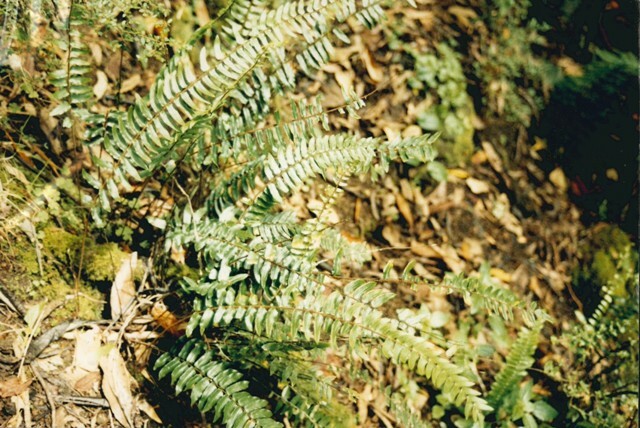 Leaves look fairly similar to Shiny Cassinia but the edges tend to be a little undulating. 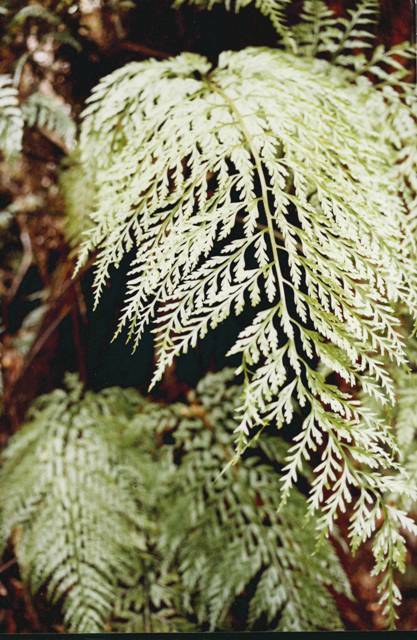 Underside of the leaves has a creamy white – felty texture. Side view of flowers, which can be identified by the separate mini florets. Another view of the flowers, Note the difference to Cassinias. 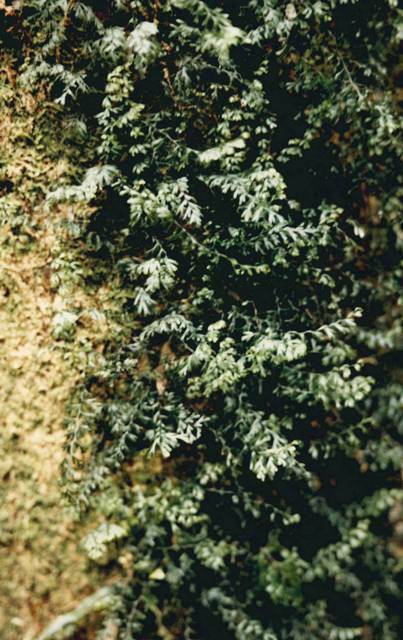 They also have a woody trunk, Which is probably the source of their common name. 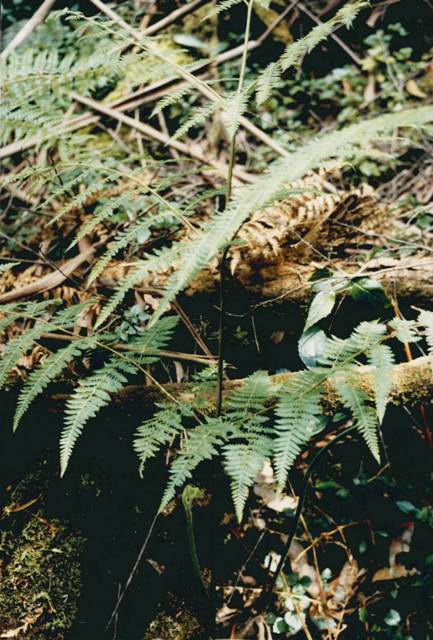 There are two species of Clematis that occur in Tarra Bulga National Park and surrounding forest areas, Forest Clematis (Clematis glycinoides) and Mountain Clematis (Clematis aristata) and it can be very difficult to tell the difference between them. 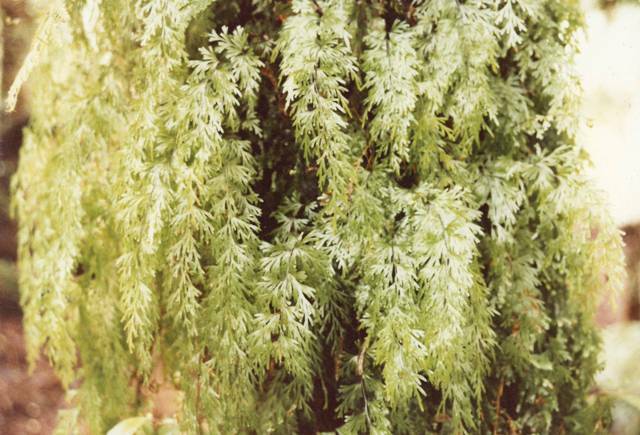 They are climbing plants that can climb high into trees and produce a mass of attractive white flowers in Spring. Both of them have leaves in groups of three of a similar size, Clematis aristata commonly has teeth or serrations on the leaf margins but both species show variation. There are two main ways to tell the difference between the two out in the field. The first is flowering time. Clematis glycinoides tends to flower in early spring, with most of its flowering finished by mid-October, then Clematis aristata seems to take over to be the dominant flowering species for a month or so, although locally it is less common. The other way is a key but subtle difference in the flowers. If you look carefully at a flower the tips of the anthers have little appendages, In Clematis glycinoides they are very short <1mm or even absent. In Clematis aristata they are clearly longer usually around 2 or 3mm long. Clematis glycinoides (Forest Clematis) and Clematis aristata (Mountain Clematis) flowers compared.